The Workbook Cannot be Opened–Excel Services SharePoint 2010 | Are you a user? The SharePoint logs were filled with this, the main issue being the message “Cannot open database “WSS_Content_SPRX2010” requested by the login. The login failed. 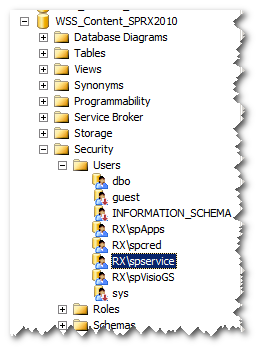 Login failed for user ‘RX\spservice’. Continue reading after all the log messages. Turns out the spservice account was missing on the content database. I’m not sure why this occurred and whether is was related to the SP1 installation (I could’ve sworn it worked before). Here are some blogs that pointed me in the right direction. Basically, you can use PowerShell on your Web App on which Excel Services is not working. After doing this I noticed by spservice account had been granted access in SQL to the database, as shown in the screenshot.